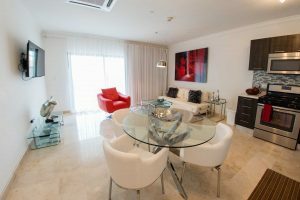 The Red Feather Palm One-bedroom condo is an excellent vacation rental situated at the deluxe condominium resort of Palm Aruba Condos. This quaint and modern beautiful Aruba condo has the bright whites and reds, but also the touch of modern sophistication, condo has an open plan living area with a fully equipped open kitchen, 4 seat dining table, a queen-size sofa bed, HDTV and access to the furnished balcony overlooking the pool area. 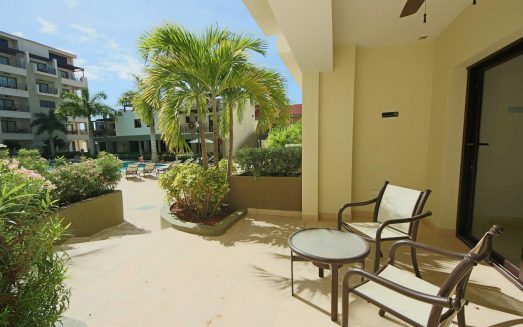 Central Air Conditioning in all areas, abundant parking space, hot water, free wireless internet, two flat-screens Cable TV (in living room and bedroom), in-room washer/dryer facilities are all available for your extra comfort. 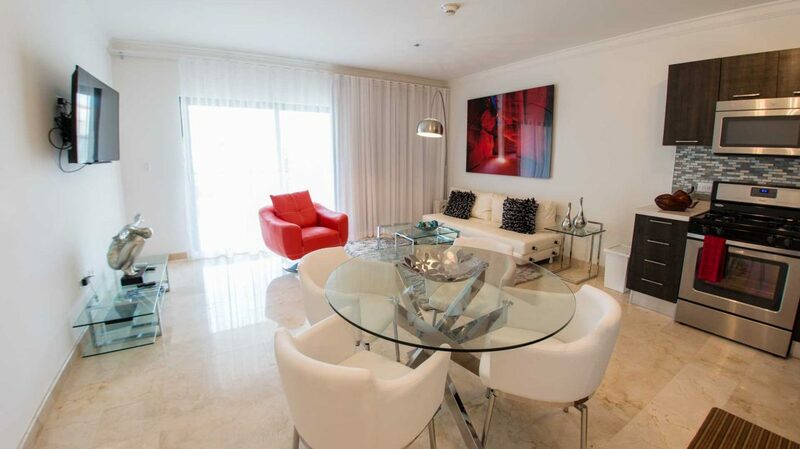 This condo is located on the second floor in the east building. – Sleeps max 2+2.